We are pleased to announce the 13th Caravan to the 48th Albuquerque International Balloon Fiesta field. The site, just steps from the field, is a dry camping experience . Water and honey trucks are available. Bring your (quiet) generator. Join Airstreamers from across the country at this colorful event as hundreds of balloons take to the sky ! At this rally you are not sitting on the sidelines but rather you are part of the festivities beginning with the early morning Dawn Patrol through the evening Glow and fireworks! This always popular event fills quickly !! Do not hesitate to send in your registration – we sell out very fast. To be fair to everyone, we will reject any payments received prior to the opening day of registration. $207.50 July 16 – August 31. No refund after September 1st for any reason. Once we are full and we receive your registration, we will put you on the waiting list. We will not cash your check until we have a spot for you. If a spot does not open up for this year, we will shred your check and you will be first in line for the 2020 Balloon Fiesta National Rally. 7 am and noon on Friday 10/4/2019. 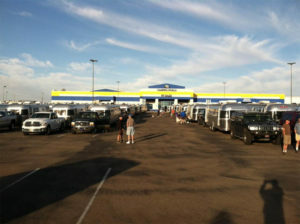 Camping World is located at 14303 Central Avenue NW, in Albuquerque. Attendees will be escorted by caravan leaders to the Fiesta site beginning at 8:45 am. If you plan to arrive in Albuquerque on Thursday, we suggest camping at Enchanted Trails RV Park which is near Camping World. 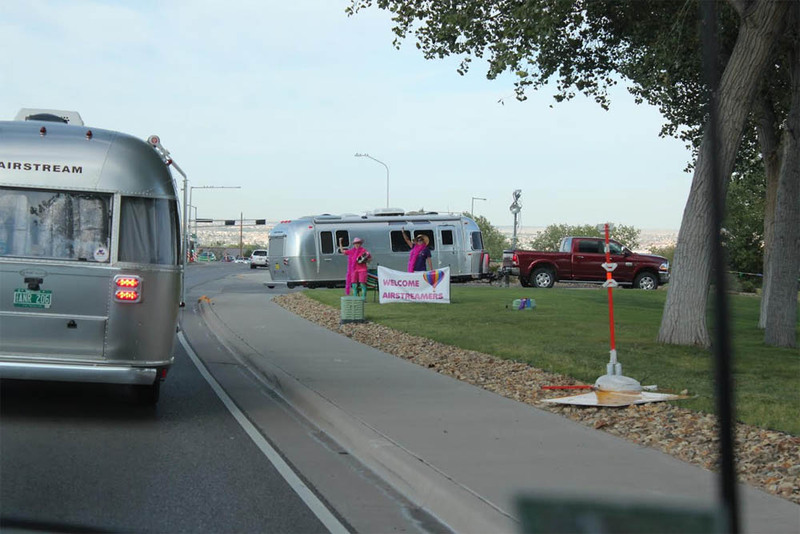 The campsite parking at the Balloon Fiesta field is random – We do not caravan and park in the order of the first to show up at Camping World. will be towed at owner’s expense. Portable Toilets: are available at various locations in the park. Please leave all supplies for other guests to enjoy. Albuquerque Fire Dept. You may have a PROPANE BBQ. Trash: please keep our site clean, place trash in provided receptacles. vehicles allowed. “Loud” is determined by RV field personnel. past the tickets booths at the launch field, no exceptions. Leveling: Balloon Fiesta does not provide wood for leveling. parking areas. This includes any cars, trucks or golf carts.